In the UK, all commercial and domestic buildings available to buy or rent must have an Energy Performance Certificate (EPC). But what is an EPC? How do you get one? How is it calculated? We go through every possible question you could have about Energy Performance Certificates. First introduced in August 2007 as part of the now-abolished Home Information Pack, Energy Performance Certificates (EPCs) summarise how energy efficient a building is and gives it a rating from A (very efficient) to G (very inefficient). EPCs estimate how costly the property will be to heat and light, and what its carbon dioxide emissions are likely to be. An EPC will also state what the energy-efficiency rating could be if improvements are made and highlights cost-effective ways to achieve that better rating. Initially, they were only for domestic buildings with four or more bedrooms, but this was extended to smaller properties too. 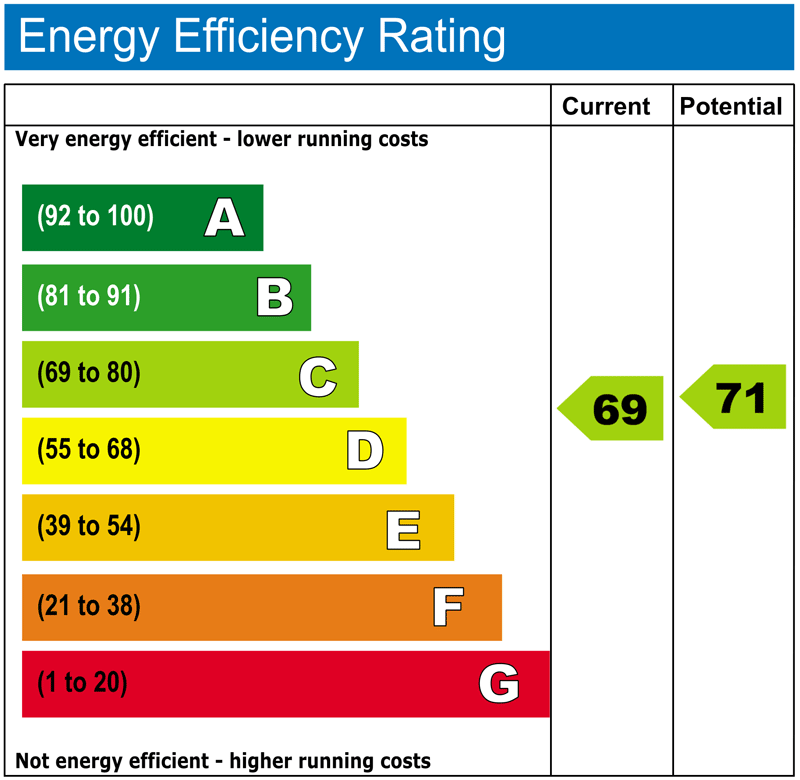 The average energy efficiency rating for a property in England and Wales is band D.
Where do I get an EPC? Alternatively, give us a ring on 0800 862 0870 and we can recommend the approved EPC assessors we have had the experience of using. In the above example, the property’s energy performance rating of 69 means it falls into a C rating (69 to 80). It’s worth bearing in mind that getting an EPC is entirely non-invasive. The software will make assumptions on the insulation properties of various elements of the property based on age and construction type. However, the assessor has the ability to override these assumptions if visual or written evidence is provided to support the presence of insulation which may have been subsequently installed. The EPC assessor’s survey should only take around 45 minutes to an hour. Importantly, your property needs to have an EPC available to potential buyers/applicants as soon as you start to market your property for sale or rental. If you have your property on the market and cannot produce an EPC within the time required, you could receive a fine. If you have implemented any of the energy efficiency recommendations outlined in a previous EPC, you may wish to get a fresh EPC done to include these improvements. For instance, if you previously received an energy performance rating of D but have invested in upgrading your single pane windows to double pane windows, you will want your EPC to reflect that when you sell your property. From April 2018, landlords will be required to achieve a minimum rating of E on the EPC for their rental property. This means if your property has previously fallen below the E rating, you will need a new EPC as unless there is an accepted exemption, landlords face a penalty of up to £4,000 for failure to meet the minimum efficiency requirement. Finally, getting an energy performance survey done could help you identify ways to save money on your energy bills and improve the comfort of your home. Holiday accommodation and residential buildings used less than 4 months a year. Buildings that are to be demolished. Buildings intended to be used for less than 2 years. Domestic EPC costs range from between £45 and £100, excluding VAT. There is no fixed cost so it is worth comparing prices from multiple companies to see who offers the best price. The price of your energy performance certificate also depends on several factors regarding your property, such as the type of property you own, how many bedrooms it has, the location of the property and the area you live in. Who pays for an energy performance certificate? Generally, it will simply be the property’s owner who pays for the EPC.  However, if you are getting a new EPC because you are putting your property on the sales or rental market with Love Your Postcode, we will pay for your EPC at no cost to you. Check with your estate or letting agent to see if they offer a similar service. EPCs are valid for 10 years from when they are issued. If the property has been let or sold since January 2009, it should already have an EPC as the property will have needed an approved certificate to get let or go through its sale. How do I improve my energy-efficiency rating? Install roof insulation and make sure it is at least 270mm in depth. Replace your halogen, or non-low energy lighting, with light emitting diodes (LEDs), or compact fluorescent light. Check your walls for cavities – Make sure to fill and fix the cavities, so that there is no risk of air infiltration. Consider renewable technologies, such as solar panels. Control your temperature by installing modern controls, such as a room thermostat, or individual, thermostatic radiator valves. Replace your old and inefficient boiler with a new central heating system. Try to replace your appliances with higher energy ratings. For example, if your appliances are ranked C, look for some that are ranked A++. Without properly insulated windows, your home could lose 10% of the heat. How is a commercial EPC different from a domestic EPC? A domestic survey purely looks at the fabric of the building – what type of wall and the area of the space, where as a commercial EPC looks at how each area of the building is used – whether that is for office purposes, dining areas, storage or a workshop area for example. A commercial EPC does not take into account the building’s energy usage. Commercial EPCs have to consider a far wider range of properties (Some rooms could be the size of cubicles, others the size of warehouses) but domestic properties always have a kitchen, living room, bathroom and bedrooms. Due to this variation in commercial properties, there are different levels of energy assessors (From level 3 to level 5). Level 5 assessors are the only ones allowed to produce certificates on very complex properties, so you may have to pay more to use a level 5 assessor if your commercial property is sufficiently complex. The variation in commercial properties also means that a survey can take much longer than a domestic survey; your assessor could be on site for hours, and in some cases may need to come back another day. They may need a number of different types of documentation on the building and the building’s services. Commercial EPCs are much more expensive than domestic, with prices starting at £100-150 and larger properties costing several hundred. The most complex and largest properties could cost you thousands. The main thing is to provide your commercial assessor with as much information as they require and make sure they have access to the whole property to insure an accurate assessment. The less information the assessor has, the more they will have to assume default values which will always be poor. Page 1 lists the property address, date of assessment and certificate; reference number, type of assessment and total floor area of the property. It shows the current estimated energy cost of the property over 3 years, how much could be saved over that time, and how this saving could be achieved with improvements to the property’s lighting, heating and hot water. It’s worth bearing in mind these figures are based on what the average household uses and doesn’t take into account running appliances like TVs, computers and cookers. Then the EPC states the current Energy Efficiency Rating and band of the property; but also the maximum potential rating and band (providing improvements are made). A summary of these improvements are listed at the bottom of page 1. Page 2 starts with a summary of the property’s energy performance related features; with a brief description and a rating out of 5 for each element. An interesting stat included is the current primary energy use per square metre of floor area per year. Bear in mind that the assessment doesn’t take into consideration the physical condition of each element. Then the property’s low and zero carbon energy sources are listed. These could include sources like biomass secondary heating or solar panels. Page 3 lists in detail the recommended measures that will improve the energy performance of your property to the highest potential rating listed on page 1. Each measure has an indicative cost, typical savings a year, possible energy rating for the property after the improvement and a tick to note if the improvement may be supported by the Green Deal Finance (Allowing you to pay for an improvement in installments). Page 4 states the details of the energy assessor, including their accreditation number, name, phone number and email address. Page 4 also contains the property’s current and potential ratings/bands for carbon dioxide. The higher the rating, the less impact the property has on the environment. Download this EPC PDF at this link if you wish to see a full example. Why is reducing the environmental impact of our homes so important? Our homes already account for 27% of the UK’s carbon emissions contributing to global climate change. The Energy Performance Certificate is designed to help homeowners reduce the environmental impact of their homes. The Energy Savings Trust estimates that following the recommendations in an Energy Performance Certificate, an average of £300 a year can be saved in fuel bills.